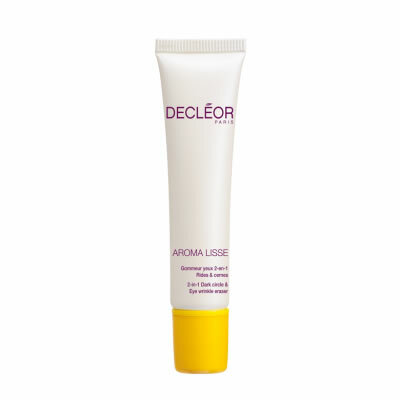 Decleor Aroma Lisse Dark Circle and Eye Wrinkle Eraser presents the latest innovative eye care to correct the first signs of ageing and darkness. It represents a new generation in eye care, the 2-in-1 Dark Circle & Eye Wrinkle Eraser corrects and brightens to deliver optimal results. 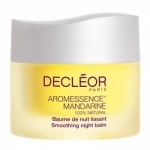 The correcting action smoothes and fills fine lines and wrinkles. The unique gel-cream texture contains illuminating yellow pigments to counteract dark circles alongside Yeast Extract while Ruscus Extract limits the appearance of dark circles. The innovative design of the silicone wand allows for ease of application.In tests, 81% of users witnessed smoothed lines and wrinkles and 100% saw a more moisturised and brighter eye contour. * Suitable for skin showing the fist signs of ageing.